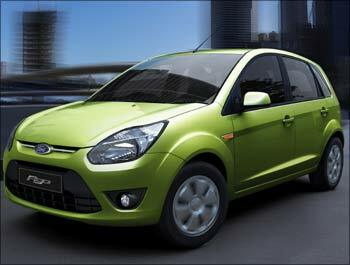 Rediff.com » Business » CarDekho Awards: Vote for the BEST cars! CarDekho Awards: Vote for the BEST cars! CarDekho.com - the winner of best and most popular Indian automotive website of the year 2012 has announced the first edition of its awards. CarDekho Awards 2013 presented by BerkshireInsurance is a one of its kind award where the people's voice is the final word. Readers and subscribers can log in to the CarDekho website choose the winners and win prizes as well. None of the awards are based on sales numbers or CarDekho's views. These awards are the current voice of the Indian consumers - a direct feedback from Indian buyers to the automakers. The event has been split in 10 basic categories of awards. Categories are defined based on car segments - Hatchbacks, Sedans, SUVs, UVs and Luxury vehicles. Under each segment there are two kinds of awards - one for the most popular in the whole year and other is the Best of 2012. In Best of 2012 the nominees are the cars that were launched or had a major facelift in 2012. Best of 2012 category is applicable only if there are 4 or more contenders. Most popular category has 8 nominees. Given the number of cars in hatchback segment it has been spilt into two as Hatchbacks and Premium Hatchbacks. Premium Hatchbacks for the purpose of CarDekho Awards 2013 has been defined as all hatchbacks whose base variant costs above Rs. 4 lakh (ex-showroom, New Delhi). The cars chosen for each category are based on CarDekho analytics data of 2012. Based on an online voting concept, CarDekho Awards 2013 aims at recognising the winners that the masses choose. Moving on from the participants to the viewers and selectors, votes can be cast till 7th February 2013, whereas results are slated down for declaration on 11th February 2013. Most Popular Hatchback: The most popular hatchback vehicles are picked from our 2012 calendar year's analytic data with base model costs below Rs 4 lakh (ex-showroom, New Delhi). The nominations are as follows: Maruti Suzuki Alto 800, Ford Figo, Hyundai EON, Chevrolet Beat, Hyundai i10, Maruti Suzuki Wagon R, Hyundai Santro, Tata Indica eV2. Most Popular Premium Hatchback: The most popular Premium hatchback vehicles are picked from our 2012 calendar year's analytic data with base model costs above Rs 4lakh (ex-showroom, New Delhi). The nominations are as follows: Maruti Suzuki Swift, Hyundai i20, Volkswagen Polo, Toyota Etios Liva, Maruti Suzuki Ritz, Honda Brio, Nissan Micra, Tata Indica Vista. Most Popular Sedan: The most popular hatchback vehicles are picked from our 2012 calendar year's analytic data. CarDekho's most popular sedans include Maruti Suzuki Swift Dzire, Hyundai Fluidic Verna, Nissan Sunny, Toyota Etios, Skoda Rapid, Honda City, Volkswagen Vento, Tata Manza Club Class. Best Sedan 2012: All the new sedans or the ones with major facelift/changes that were launched in-between 1st January 2012 to 31stDecember 2012 have been chosen. The nominations for this section include Maruti Suzuki Swift Dzire, Hyundai Elantra, Hyundai Sonata, Renault Scala and Toyota Camry. Most Popular SUV: The most popular SUV's are picked from our 2012 calendar year's analytic data. The nominations for this category include Renault Duster, Mahindra XUV500, Mahindra Bolero, Mahindra Scorpio, Toyota Fortuner, Tata Safari Storme, Tata Sumo Grande and Mahindra Ssangyong Rexton. Best SUV 2012: Best SUV 2012 All the new vehicles or the ones with major facelift/changes that were launched in-between 1st January 2012 to 31st December 2012 have been chosen. These include Renault Duster, Tata Safari Storme, Mahindra Ssangyong Rexton and the Mitsubishi Pajero Sport. Most Popular UV: The most popular Utility Vehicles are picked from our 2012 calendar year's analytic data. The nominations for the UV segment are Maruti Suzuki Ertiga, Toyota Innova, Mahindra Xylo, Mahindra Quanto, Nissan Evalia and Tata Aria. Most Popular Luxury Car: The most popular Luxury Cars are picked from our 2012 calendar year's analytic data. The nominations for the luxury segment are BMW X1, Audi Q3, BMW 3 Series, Audi A4, Mercedes-Benz C-Class, Land Rover Range Rover Evoque, Jaguar XF, BMW 5 Series. Best Luxury Car 2012: All the new Luxury cars or the ones with major facelift/changes that were launched in-between 1st January 2012 to 31st December 2012 have been chosen. The nominations for this include BMW 3 Series, Audi Q3, Mercedes-Benz B-Class, Land Rover Range Rover, Audi S4, BMW 6 Series Coupe, Mercedes-Benz M-Class, Audi A4. Manufacturer of the Year: The most popular Manufacturer's are picked from our 2012 calendar year's analytic data. The top 8 contenders are Maruti Suzuki, Hyundai Motors, Mahindra & Mahindra, Tata Motors, Ford, Toyota Kirloskar, Chevrolet and Honda. Prices of these 28 cars have been SLASHED!